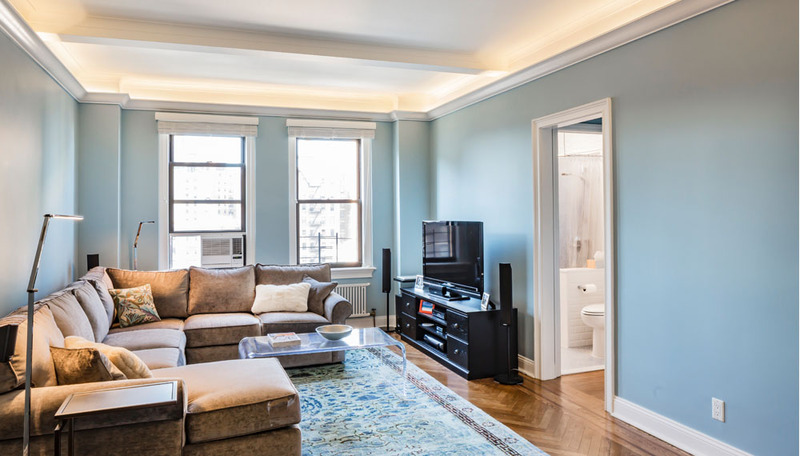 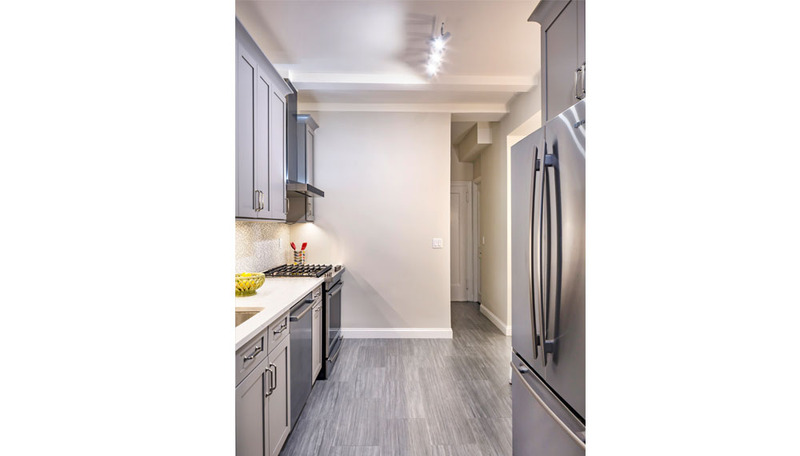 The project involves the gut renovation of a two bedroom two bathroom apartment on the Upper West Side, in the Morningside Heights neighborhood of Manhattan, NY. 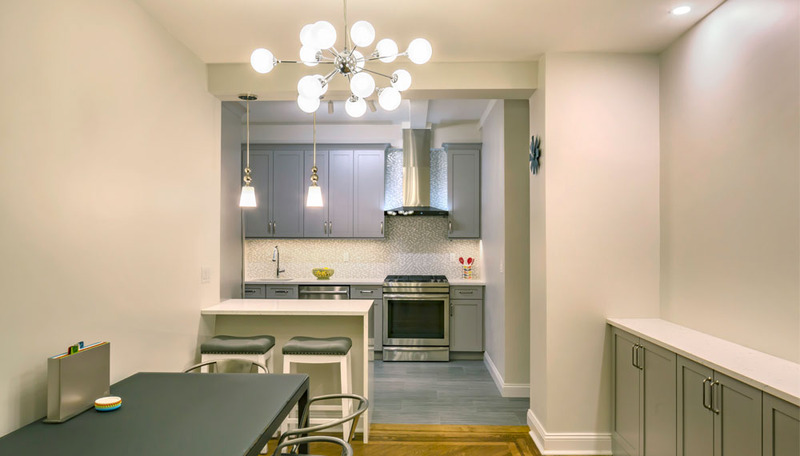 The existing kitchen was opened up to create a breakfast bar that connected the kitchen and the dining room. 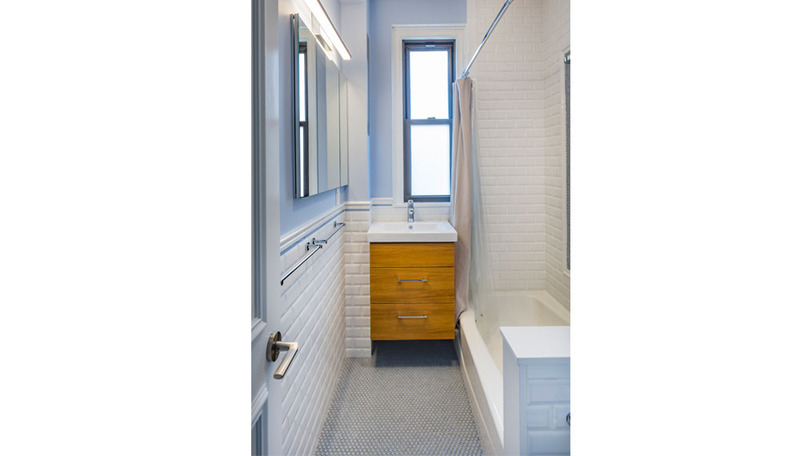 Both bathrooms were gut renovated with new fixtures and finishes. 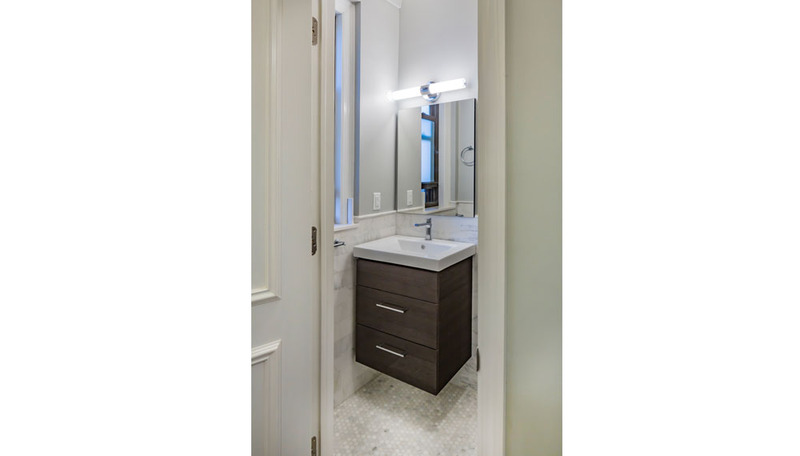 Cove lighting was added to the living and bedrooms areas.